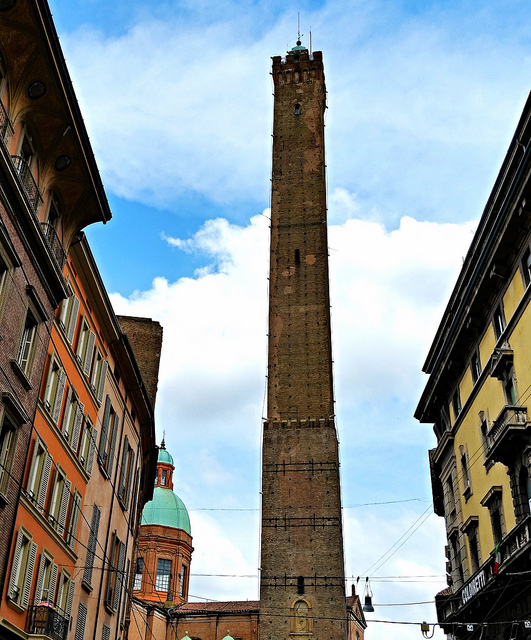 Towering above the center of Bologna, the Asinelli tower is the tallest tower in all of Italy (and Italy has a lot of towers! ), at 97.2 meters high. Climb up the narrow center, winding up nearly 500 old, wooden, and sometimes uneven steps. The view of Bologna’s red roofs and piazzas are well worth the climb. For just 3 euros it’s a must do experience. Stop for a glass of wine when you reach the bottom - you’ll deserve a reward!